Picture Hawaii. It's all rainbows and waterfalls, right? Of course, that stuff is great. Who doesn't love a good white sand beach with dolphins and palm trees and whatnot. 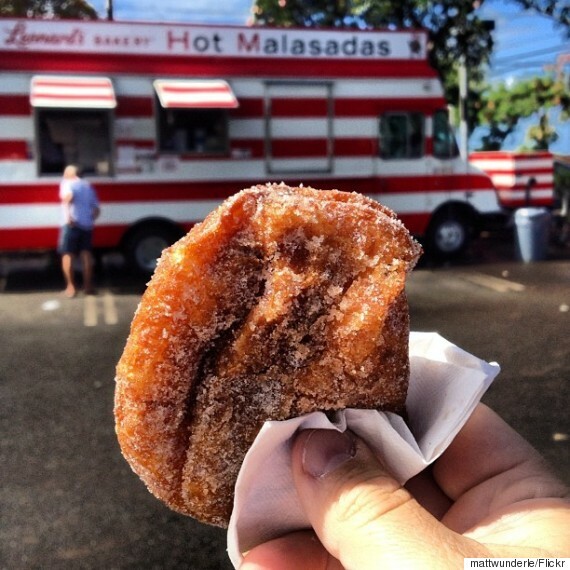 But guys, we're gonna let you in on a little secret... the real joy of Hawaii is in the FOOD. 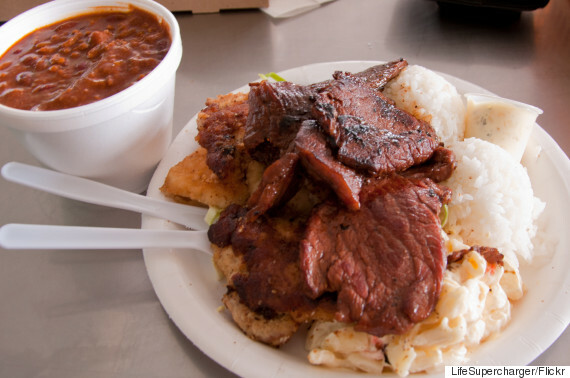 Below, ten things you need to feast on in the Aloha State. 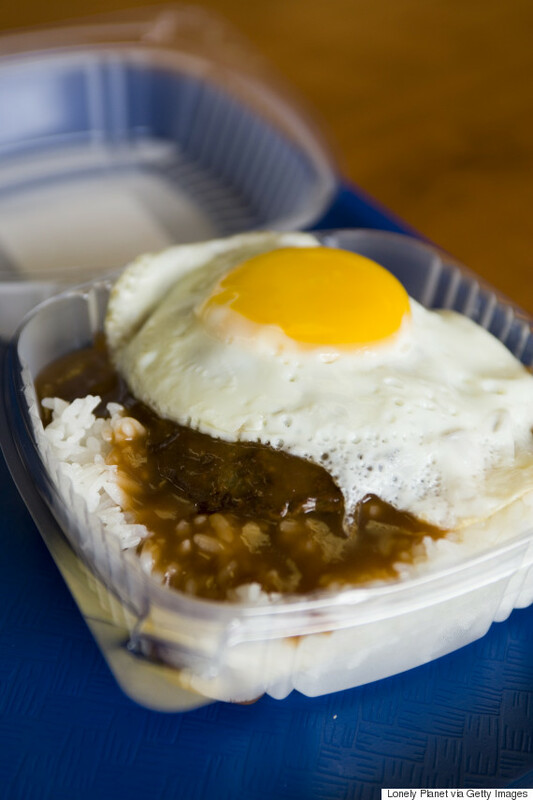 When in Hawaii, eat as the locals eat. What: This one's a no-brainer. If you eat one meal in Hawaii, make it traditional Hawaiian food. 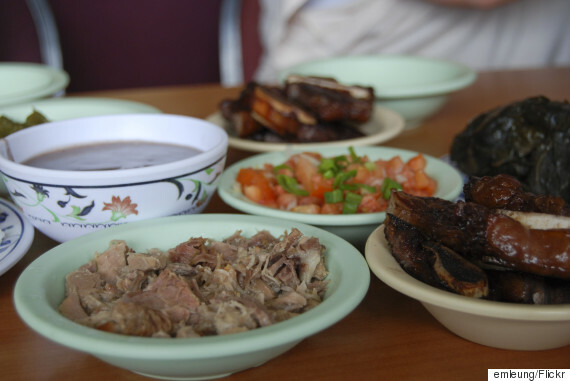 With dishes like kalua pork, chicken long rice, squid luau, poi, laulau, and lomi lomi salmon, an authentic Hawaiian meal will introduce you to the true tastes of the islands. What: When the phrase "don't knock it 'til you try it" was coined, we're pretty sure they were talking about Spam. 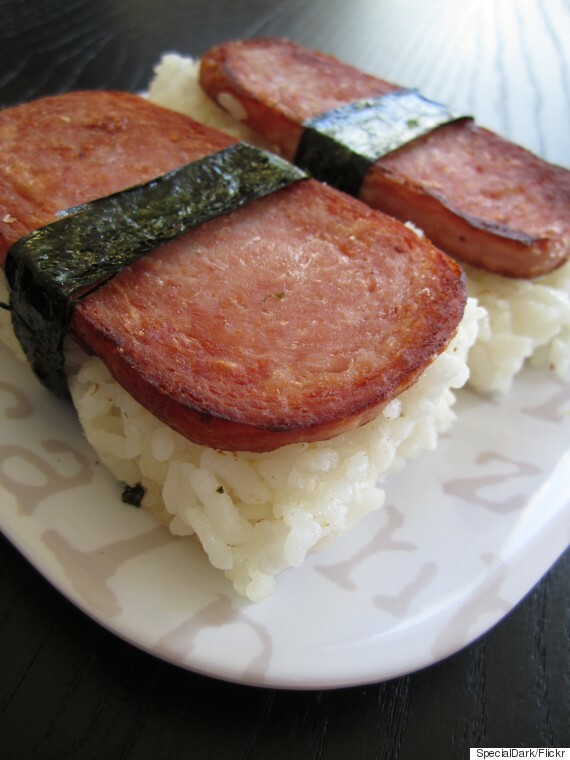 This simple combination of rice, fried Spam and dried seaweed is the crown jewel of Hawaii snacks. What: Steamed or baked manapua? Ask any Hawaii local this question and you're guaranteed a passionate response. 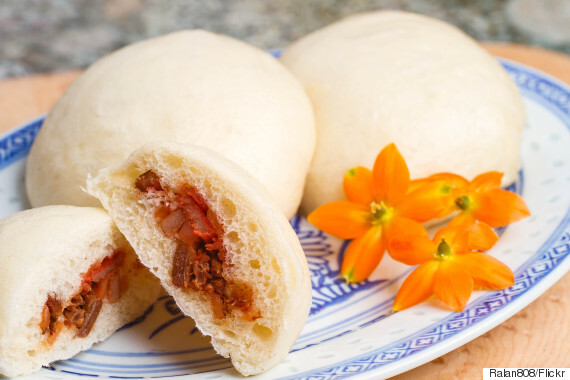 These pillowy buns are a staple of local cuisine. They can be filled with char siu, chicken, beans or anything else your heart desires. Bring these to a potluck and you'll be hailed as a hero. 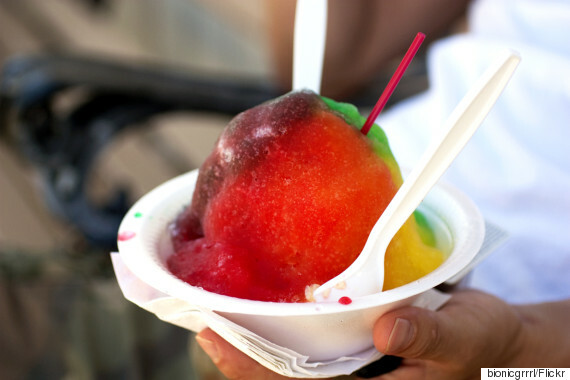 What: The most delicious, finely shaven snow cone you've ever dreamed of. With syrup flavors like lilikoi, coconut and li hing mui, this dessert is basically a tropical rave in your mouth. Add ice cream, mochi balls, azuki beans or condensed milk to the equation. Trust us. Do it. What: This bowl of fruity goodness isn't technically a classic Hawaii food, but it's still a must-try when visiting the islands. 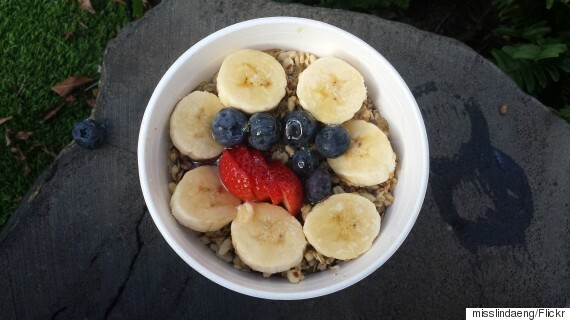 It's a bowl of a thick acai berry blend topped with fruits, granola, honey and other awesome goodies. There's nothing more refreshing after an early morning hike. What: If health is your main objective, you might want to steer clear of this recommendation. A typical plate lunch consists of white rice, macaroni salad, and a meat of your choosing, maybe mahi mahi, fried chicken or teriyaki beef. Get a mix plate to try a little bit of everything. What: Deep-fried balls of heaven coated in sugar. That's all you need to know. What: Ridiculously fresh, raw seafood marinated in the sauce of your choosing. 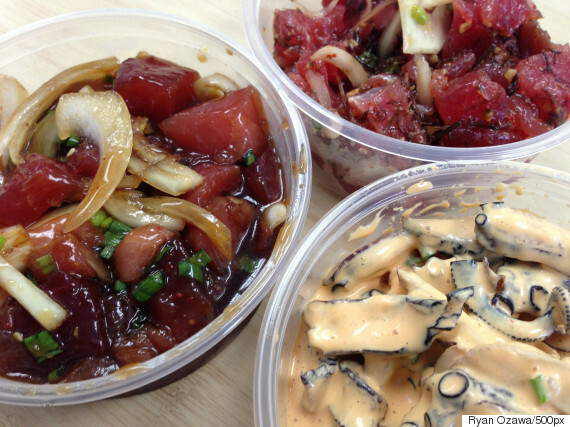 The most popular variety is ahi poke, which is made with yellowfin tuna. If you're feeling adventurous, order the tako (octopus). A poke bowl (poke served on a bed of rice) makes for the perfect beach meal. What: There's nothing more comforting than a piping hot bowl of noodles after a long day of surfing. Saimin is Hawaii's version of classic Asian noodle dishes, taking elements of Japanese, Chinese and Filipino dishes to create a unique bowl of Hawaii. 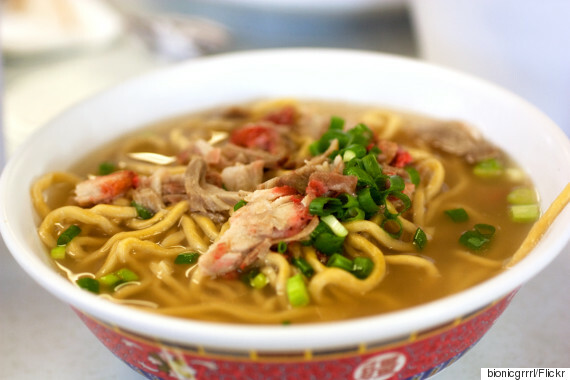 Saimin is basically the culinary representation of Hawaii as a crossroads for culture.